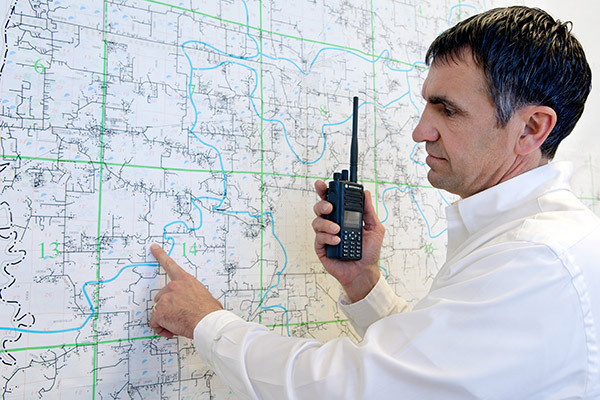 If you have decided to equip your business with two way radios, the next step is to establish a plan. You need to train your workforce on their use, and establish procedures that encompass the training. But all of that can only be possible if you know when you can begin the process. Keep reading to find out how long it will take to get your two way radio or walkie talkie from Nova Communications, and what variables can impact that timeline. When you decide to purchase a Motorola two way radio from Nova Communications, we don’t just put the order in a box and ship it your way. Instead, we make sure that everything is in working order. That results in turnaround, but the short time required to wait for your items will be well worth it considering once you receive your two way radio, it will be ready for your business to use. Our first step will be to set up the right frequencies for your business. Do you have existing radios? Send those two way radios to us, and we can copy the existing programming onto your new system for seamless communication in the workplace. Your old radios can be ICOM, Kenwood or Motorola products – we can copy programming on any of them. We also test the equipment, making sure we only ship a product to you that is up to the standards of both Nova Communications and Motorola. In addition, this is the time for us to implement any wants and needs specific to your business – along with ensuring that all accessories (such as headsets, spare batteries, speaker mics and chargers) work well with the provided equipment. Many of the two way radios (approximately 80%) you can order from us are in-stock on location for a quick turnaround. Others, though, first need to be shipped to us before we can begin to program them. Turnaround on our end is short, but will play into the total time it takes for you to receive your two way radios. Finally, depending on your exact location within Canada, you should plan in the time it takes to get the items to you. If you need the two way radios quickly, we can Air Freight your items for expedited shipping. Considering all of these factors, turnaround time can vary greatly. If radio frequencies are on hand, sending out your order can be done in as little as 24 to 48 hours. If there is a special order, it can take five to seven business days. In short, the time it takes to get your two way radio depends greatly on the variables for your individual business. We can accommodate you even for short-term turnarounds – but your two way radios may not arrive immediately while we ensure it will work well for your business. We pride ourselves on personalized customer service that guides you through the buying journey, remaining transparent about the duration and status of your order. Contact us today to find out more about how quickly we can ship your items, and accommodate your wants and needs. Or start with the FREE Portable Radio Selection Guide below.